At Heidan Construction we know the challenges and rewards of creating state-of-the-art dental offices for our Toronto clients. Our dedicated team of designers, engineers and craftsmen specialize in pushing the design envelope forward into tomorrow while maintaining laser sharp focus on your needs today. Form follows function which follows our commitment to providing your practice the all-purpose platform it needs to thrive. We understand and respect the magnitude of your investment in your new space and take on the responsibility of transforming your vision into reality. Consulting – From the moment you first sit down with our design consultants you’ll experience our extraordinary level of commitment. We take all of your input to heart and work closely with you from early concepts right through to the finished plan. Once construction is underway we keep you apprised of project milestones, alert you to any necessary adjustments and keep a firm grip on costs so that your project can proceed to a satisfying conclusion. As a result of cultivating a close working relationship the finished product will adhere to the highest standards of aesthetics and practical functionality. Leading Edge Design – Our designers and engineers live and breathe the mechanics of commercial space whether dental, medical or otherwise. They understand to their core the ergonomic requirements of the contemporary dental office and fashion working spaces that allow for the effortless exercise of your special talents. Should you already have designs created by another company we can either build them out or, if you wish, use them as a basis for a refined, next generation plan. Construction – There is no goal more important to us than completing your new or renovated dental office on time and within budget. Our experienced and highly skilled project managers never let your project drift and our craftsmen are known for their single-minded commitment to both efficiency and quality. During renovation projects disruptions are kept to an absolute minimum and you’ll experience little if any downtime. Our extensive experience with dental office design/build in Toronto means that all components of your infrastructure as well as all your most complex and sensitive equipment are installed in a timely and correct fashion. 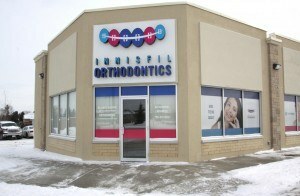 A new or renovated dental office will be the backbone of your practice for many years to come. At Heidan Construction we understand this and will work tirelessly to design and build a dental office for you that fulfils all your short and long term needs. If you’d like to enjoy the peace of mind that results from partnering with truly professional dental office builders in Toronto give Heidan Construction a call today.